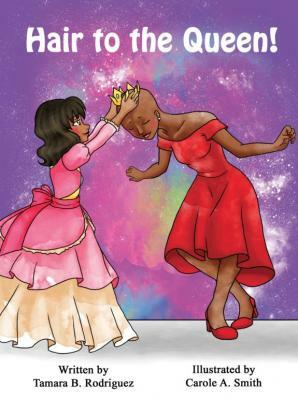 Hair to the Queen is a picture book that allows parents to introduce cancer to their children in a tender way. Told in the first person, it is a compassionate narrative of a daughter that plans a surprise for her mother that was recently diagnosed with cancer. The surprise gives the mother much needed strength and confidence to battle the disease. Tamara’s philanthropic and corporate career path has influenced her recent entrée into the literary world. With more than a decade of financial expertise during which she held various senior-level positions, the University of Miami graduate has spent the past five years as Chief Financial Officer for Fatima Group, a Miami-based corporate holding company. Among other businesses, Fatima has distinguished itself as a powerhouse in northern Haiti through the creation of unprecedented employment opportunities in Cap-Haïtien and beyond. For example, Fatima Group recently announced it has broken ground to bring Haiti the first Autograph Collection Hotel, Marriott International’s exclusive portfolio of one-of-a-kind properties, upon its completion next year. As an integral part of the family-owned business founded more than 40 years ago by her grandfather, Alfred Béliard, Tamara has been deeply involved in The Alfred Béliard Foundation, which focuses on cancer education, early prevention, and treatment. The Foundation serves as a conduit for accessing medical experts and other invaluable resources for Haitians living in Haiti. Inspired by her grandfather’s unique intuition and passion for helping others, Tamara’s heritage drives her involvement with the nonprofit organization, Haitian American Leadership Organization. As part of a team of volunteers, she helps present “A Day with Santa,” an annual event during the holiday season that is designed to delight under-served children. More than 2,000 children from Miami and Haiti (Port-au-Prince, Thomazeau, and Cap-Haïtien) enjoy fun activities, food and drinks, entertainment, and, of course, new presents from Santa. Proudly from Cap-Haïtien, Haiti, Tamara lives in Florida with her husband and two daughters, and enjoys reading, fitness, and spending time with family and friends. She is working on her second children’s book. A childrens book illustrator and freelance artist, Carole A. Smith also illustrated "The Shadows of Nivia" and "The Garden of Enchantment."